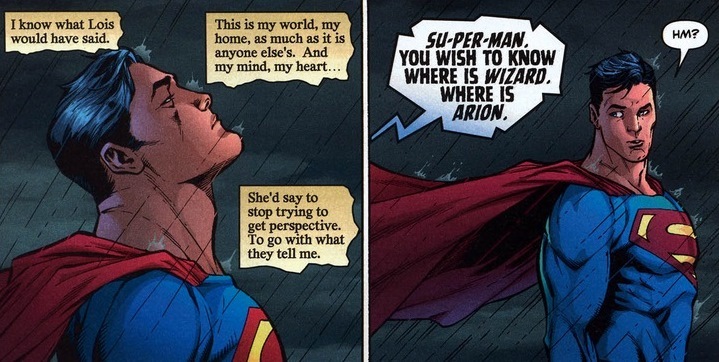 When you think about Superman’s history, the DC universe should really be thanking Ma and Pa Kent for raising Superman as the moral center of the entire comic book world. The Man of Steel’s generosity, unwavering goodness, and solitary desire to protect and better his world — that all came from values instilled during his youth on the Kent family farm in Smallville, Kansas. 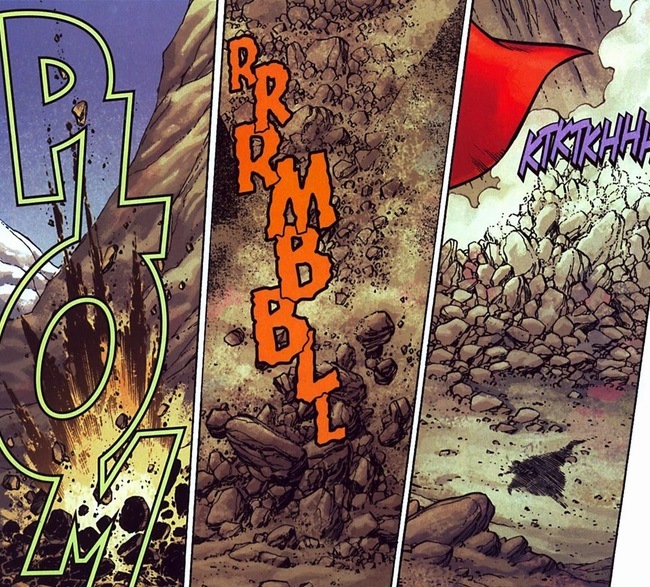 Can you imagine if baby Superman’s rocketship landed in a not-so-friendly place? 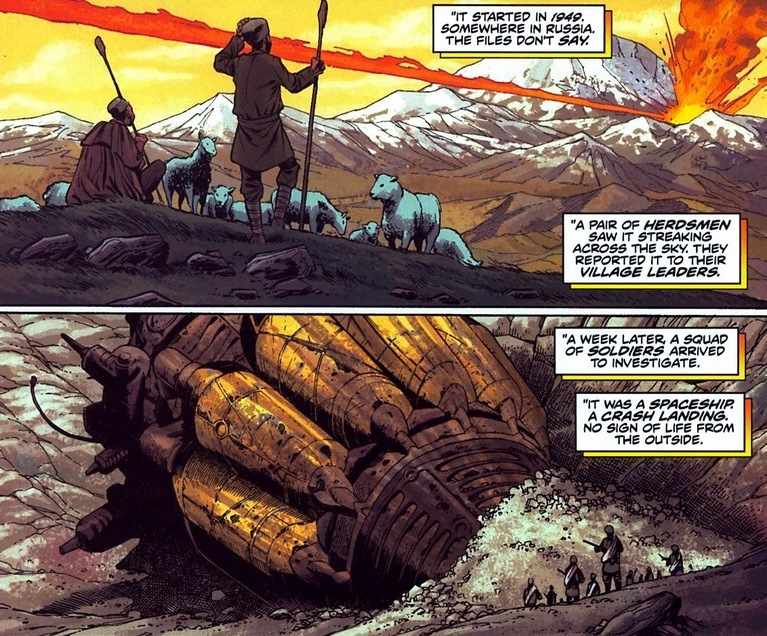 I mean, besides Soviet Russia and Apokolips; those have been done already. 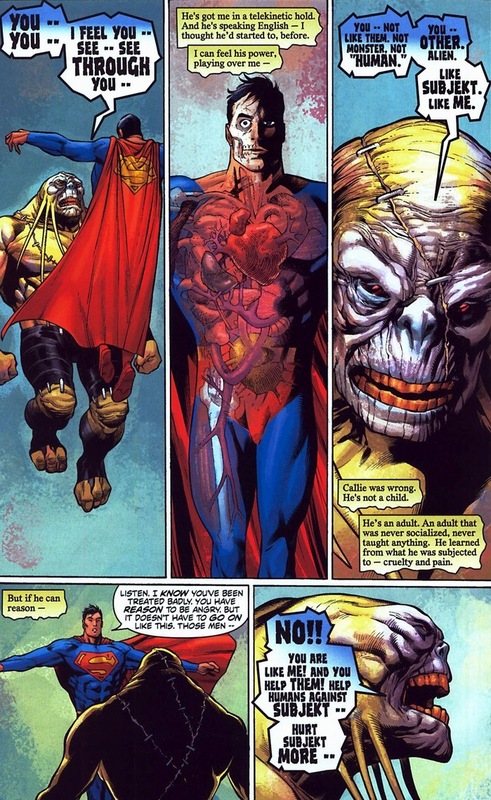 Today, we take a look at an alien who didn’t have that luxury of being raised correctly in Superman #655, 656, 662, and 667, written by Kurt Busiek and drawn by Carlos Pacheo & Jesus Merino. 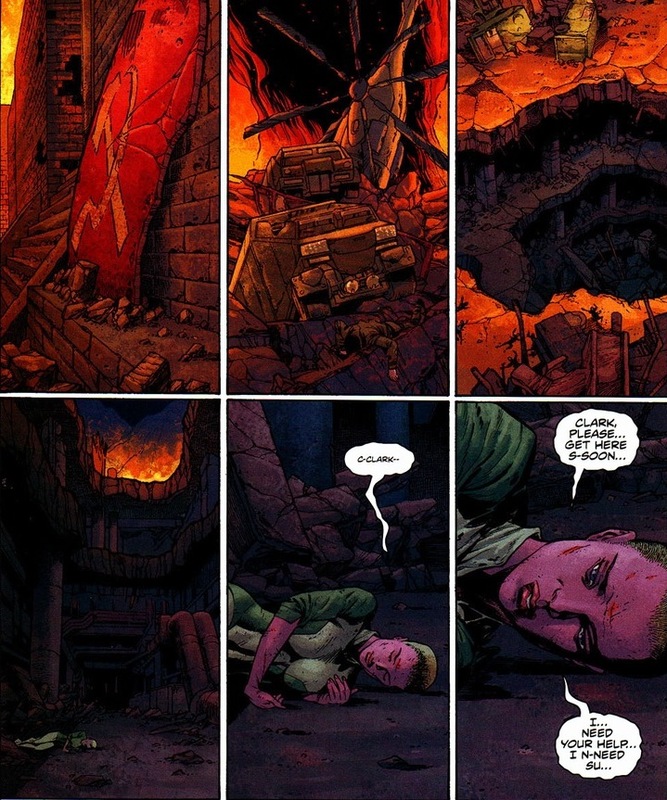 This arc, which spans about eighteen issues, deals with a conundrum far greater and more powerful than I can capably relay through my website. 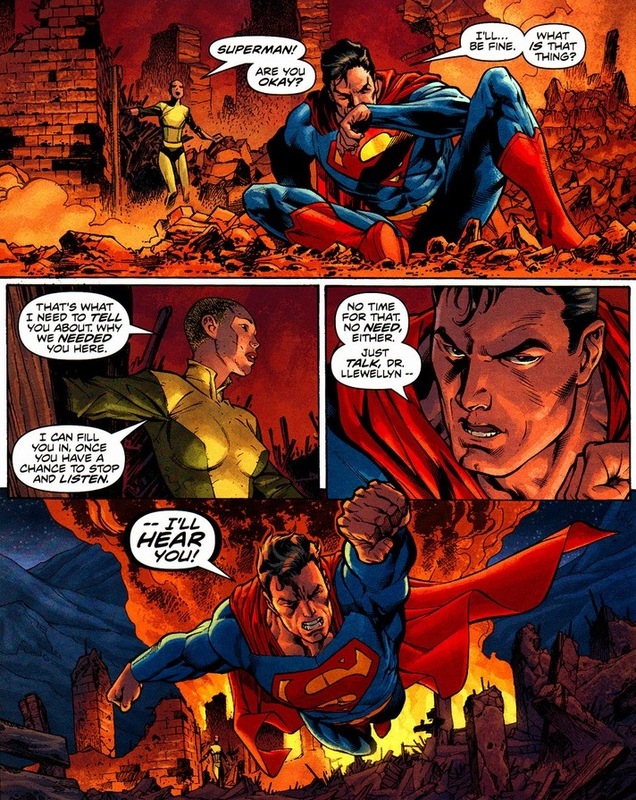 Superman is given a decision — if he fights an upcoming evil, he secures the death of all humanity, but if he refuses to fight then millions will die and the world will be saved. 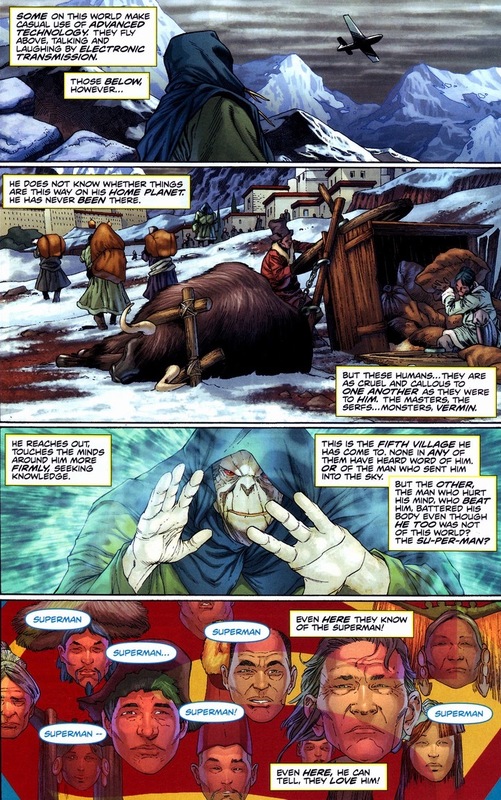 The whole sacrifice one to save many problem that beings of immeasurable power have to deal with sometimes makes for excellent comics. But within those pages lies a side story you should know about. Meet Doctor Callie Llewellyn, one of Clark Kent’s ex-girlfriends. While Kent may not be charming, he is 6’3″ and built like an NFL linebacker. Unfortunately, so is the monster that bloodied his former flame. Though for your sake, the back story might be helpful. As you read, does his origin vaguely remind you of anyone else? Right rocketship, wrong place. 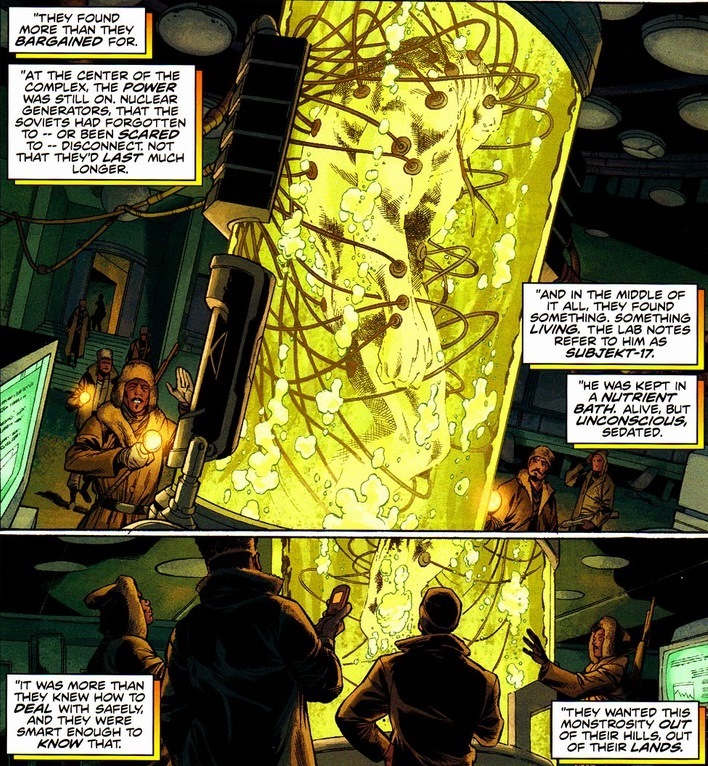 The Kents would have raised the little monster right, but labs full of mad scientists tend to make more selfish decisions. While not Subjekt 17’s fault that he turned out the way he did, a tantrum won’t solve this problem. Unfortunately, the respite won’t last long. 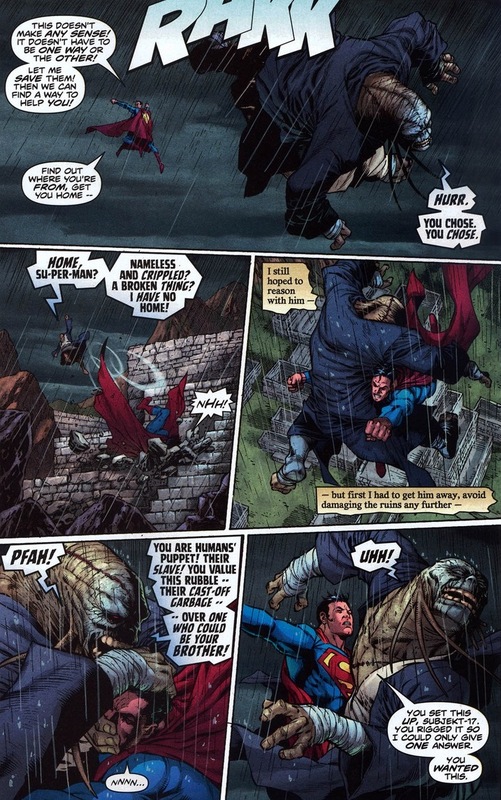 Superman contains this tiny character flaw that supervillains exploit — mainly, save the innocents first then return attention to the giant destructive monster. Unfortunately, when Subjekt 17 returns, and oh, does he return, it’s on far more dangerous grounds. Like Metropolis. 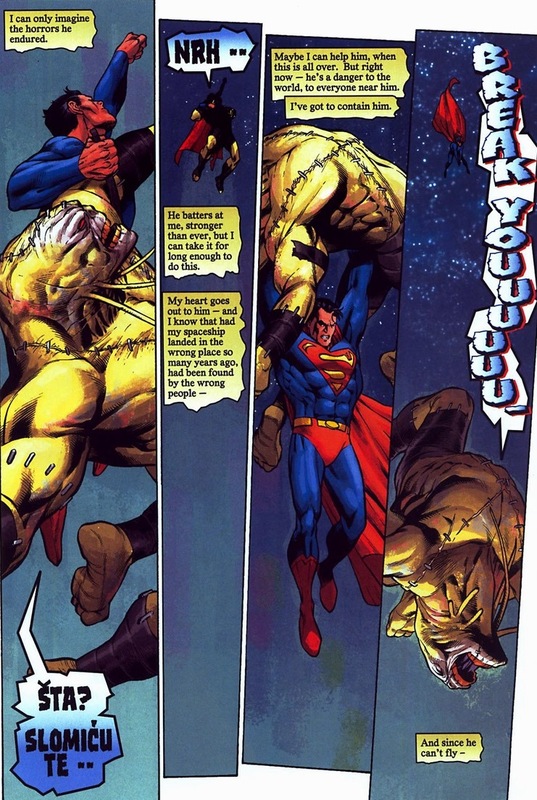 Besides the obvious collateral damage factor, Superman isn’t about to pummel the beast in the middle of downtown. Want to know what separates Superman from Batman? Besides Batman not being able to bench press the moon? Besides that Superman’s cousin once dated her horse while Batgirl never so much as flirted with Ace the Bat-Hound? 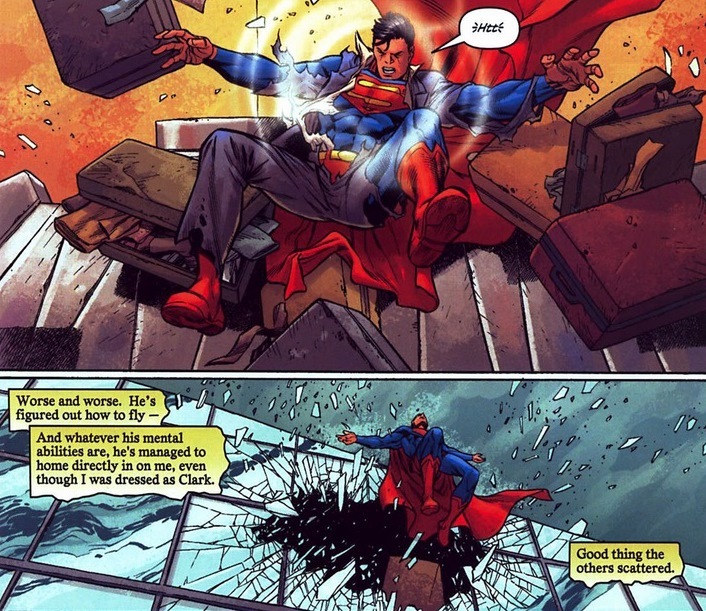 It’s a simple difference: when an angry super strong monster punches Superman through a skyscraper, the Man of Steel still wants to peacefully negotiate. Kent upbringing and whatnot. Batman would probably take a more violent route. 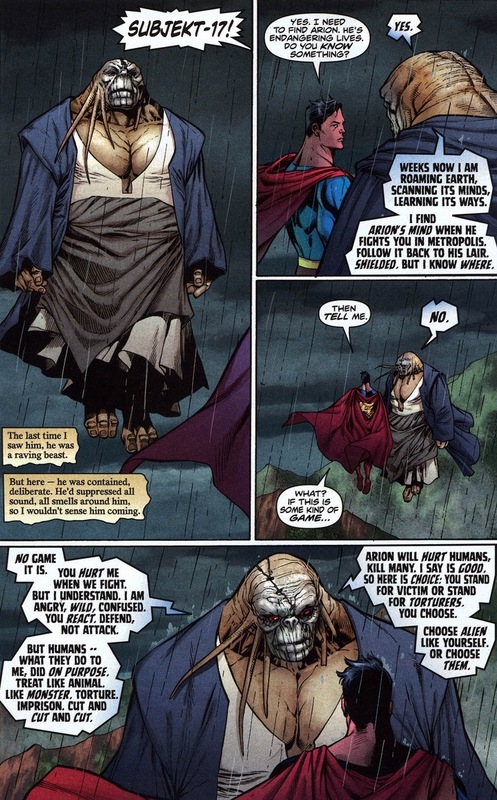 Subjekt 17’s anger at Superman is justified. 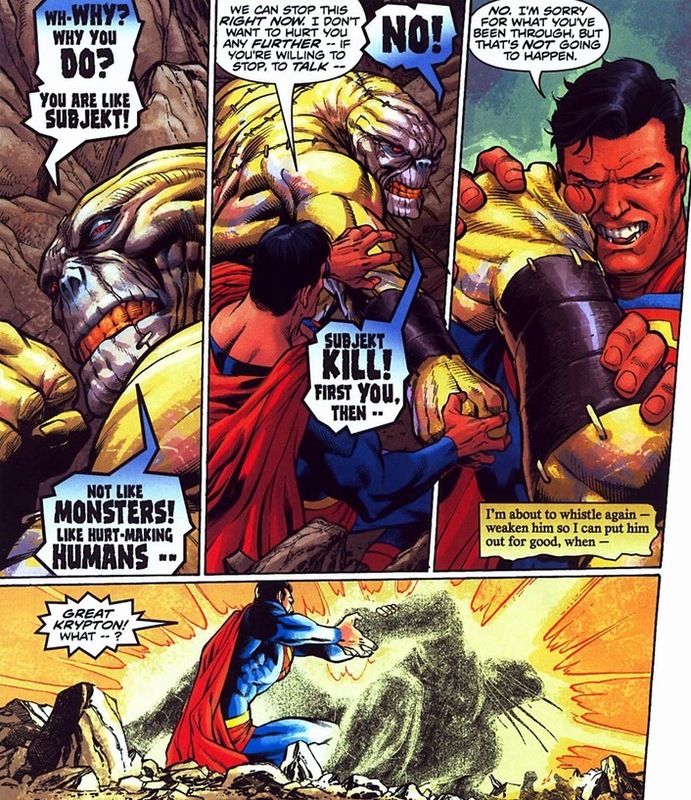 All the guy’s known is pain and suffering at the hands of humans because of his non-human qualities, and Superman (who’s an alien like Subjekt 17) actually defends these monsters? Well, peaceful negotiation’s out. At this point, the monster teleports away through magic not his own. Thus begins the main plot I told you about at the beginning. Using this time away from all the bloodshed and frustration could do Subjekt 17 some good. See all the kindness in other people, right? Okay, maybe empathy isn’t his strong suit. And with his captors dead, Subjekt 17’s guiding light can be found in the unrequited anger at the one man who threw him through the earth’s core. 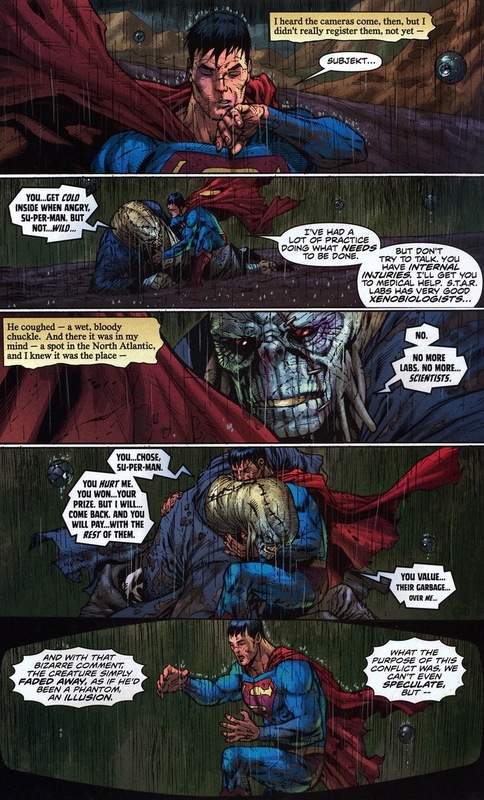 Unable to understand humanity, Subjekt 17’s final fight with Superman (and it is final because he never shows up in comics again) serves only to punish the kindest, most generous superhero in the DC universe. 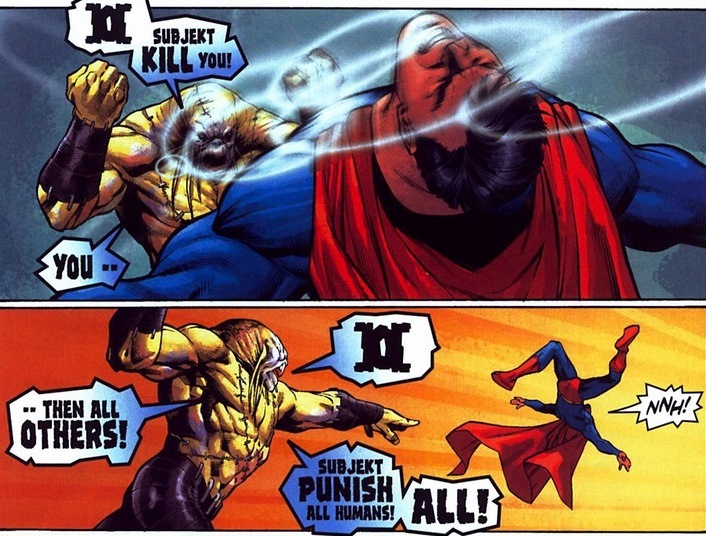 Supervillains are jerks. 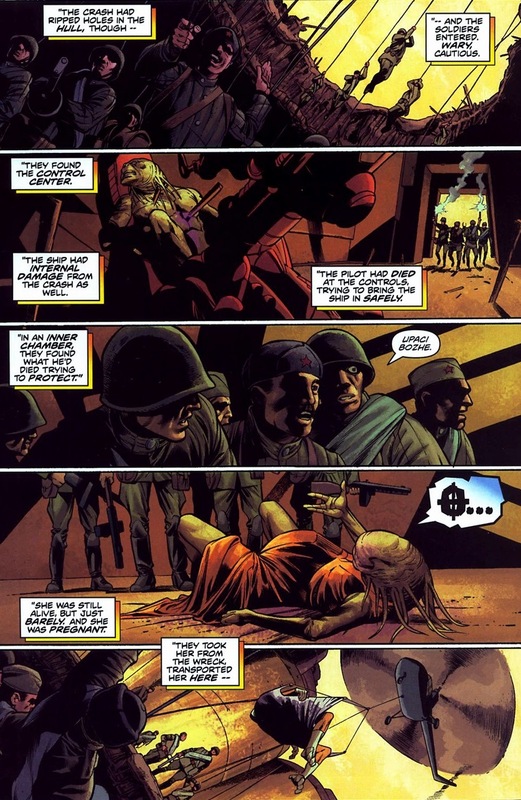 How could Superman not be seen as the enemy by Subjekt 17? 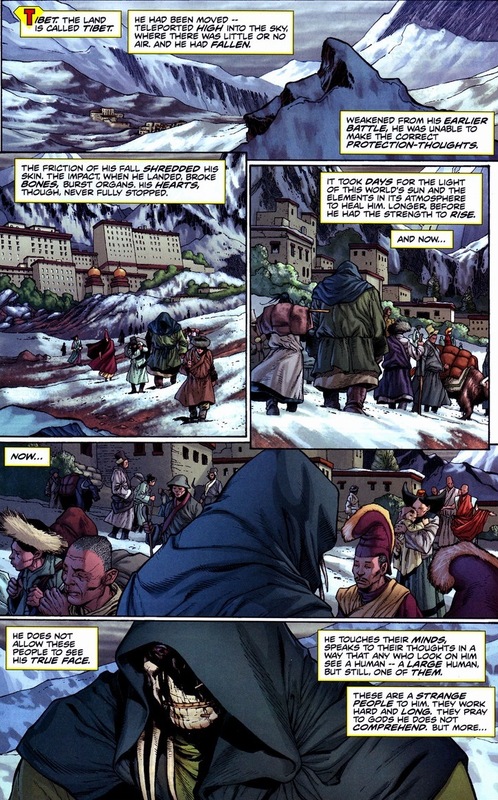 The wizard Arion plans to let millions die to save billions, and our antagonist very much appreciates the gesture. After all, how could humans not be seen as a scourge on the universe after Subjekt 17’s torture and experimentation for fifty straight years? 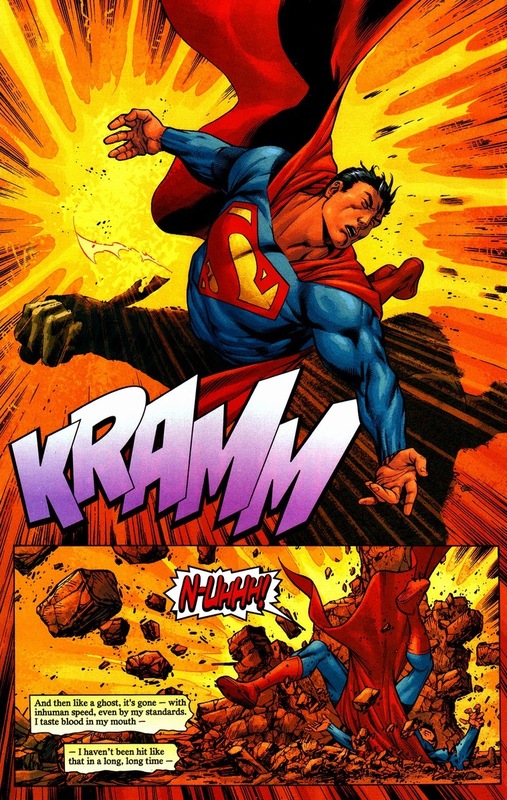 So now Superman has no choice but to pummel Subjekt 17 (an innocent victim of the people Superman’s trying to protect) to save the world. What choice is there? This fight serves three purposes. First, it ends the Subjekt 17 side plot. 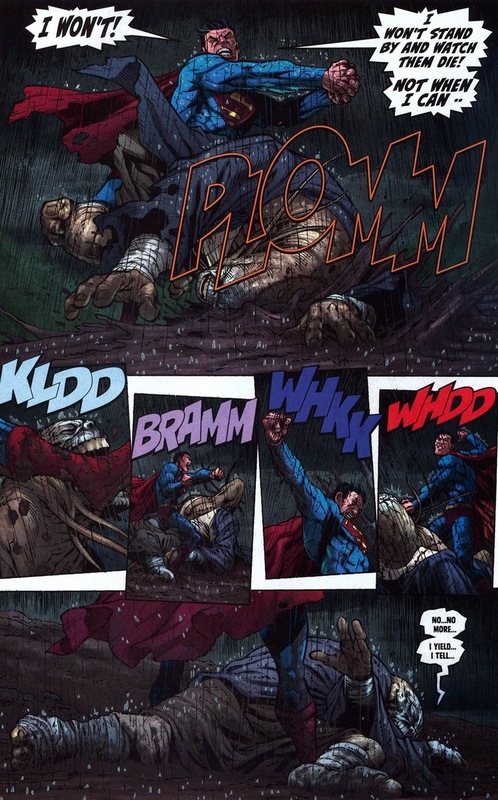 Second, the brawl’s a microcosm of the real choice Superman still has difficulty making. 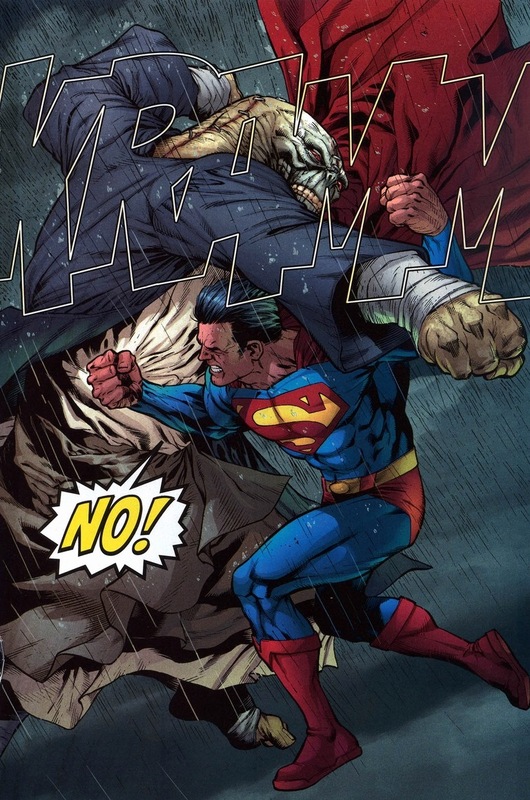 And three, we all want to see Superman punch big ugly monsters. The man exemplifies the superhero ideal not just because of his ability to solve crimes with laser eyes and freeze breath, but because Superman always has to make those annoying tough choices that never fail to leave him bloody and righteous at the end of the day. 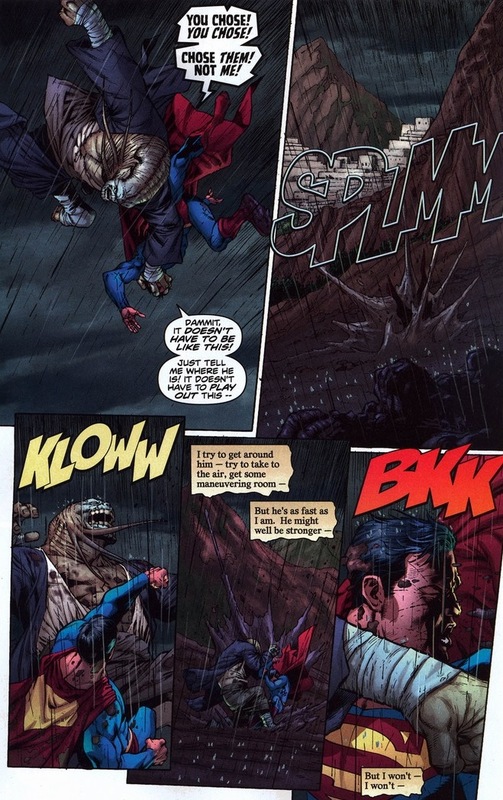 In this ultimate moment, when Superman stands victorious over the brute he just pounded, his thoughts aren’t that of celebration (though from the dark skies and rainstorm, you could tell the mood anyway). Just like he’d act towards a beaten Lex Luthor or a beaten Parasite or a beaten Metallo, our hero acts first and foremost with concern and care. 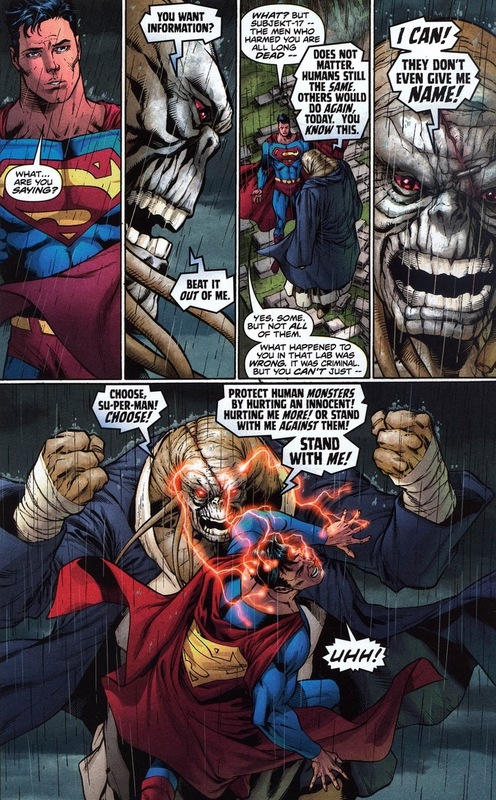 No wonder supervillains hate Superman so much when he won’t as much as spare a second of hatred on their behalf. Plus, that gorgeous head of hair — most of Superman’s rogue gallery lacks such luscious locks. For the super cool battle with Arion, you have to buy the book. 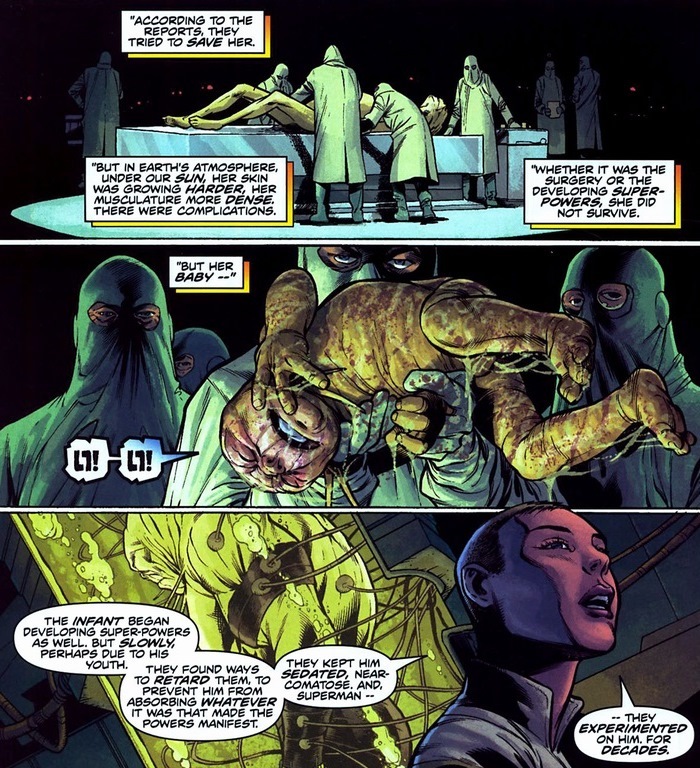 We can only speculate Subjekt 17’s current whereabouts, but I’d like to imagine him hanging out with Killer Croc, Copperhead, and all those other vaguely reptilian baddies. A sewer family’s still a family, y’know. Thanks for reading, I really appreciate it! 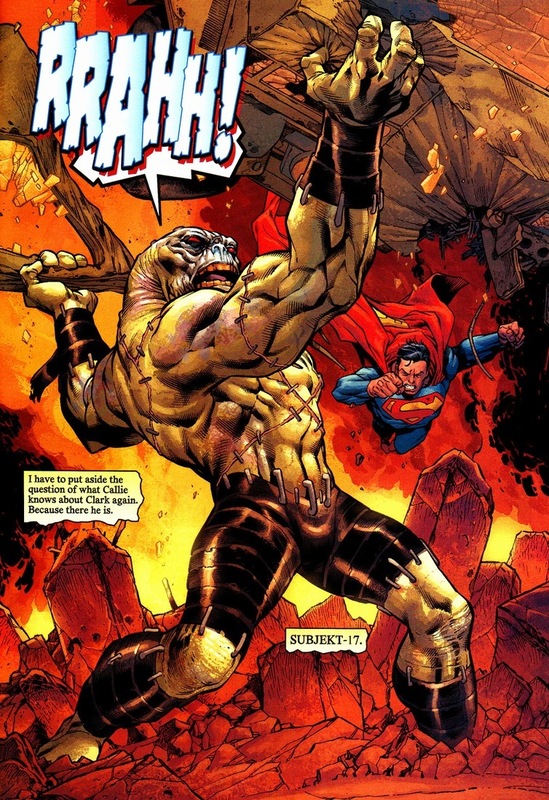 This took place in 2006 over Superman #654-667 and concluded in Superman Annual #13. I believe it’s most popularly titled Camelot Falls. I hope this helps you find what you’re looking for!